NO. 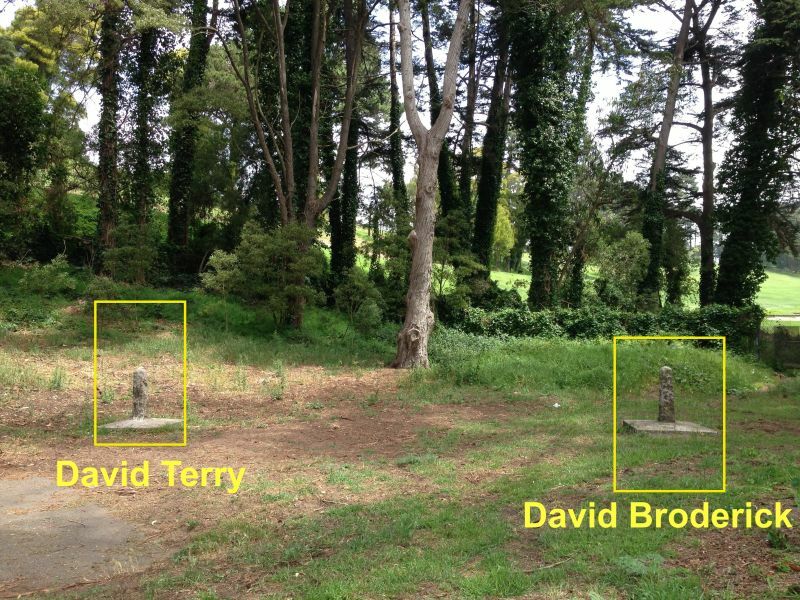 19 BRODERICK-TERRY DUELING PLACE - In the early morning of September 13, 1859, U.S. 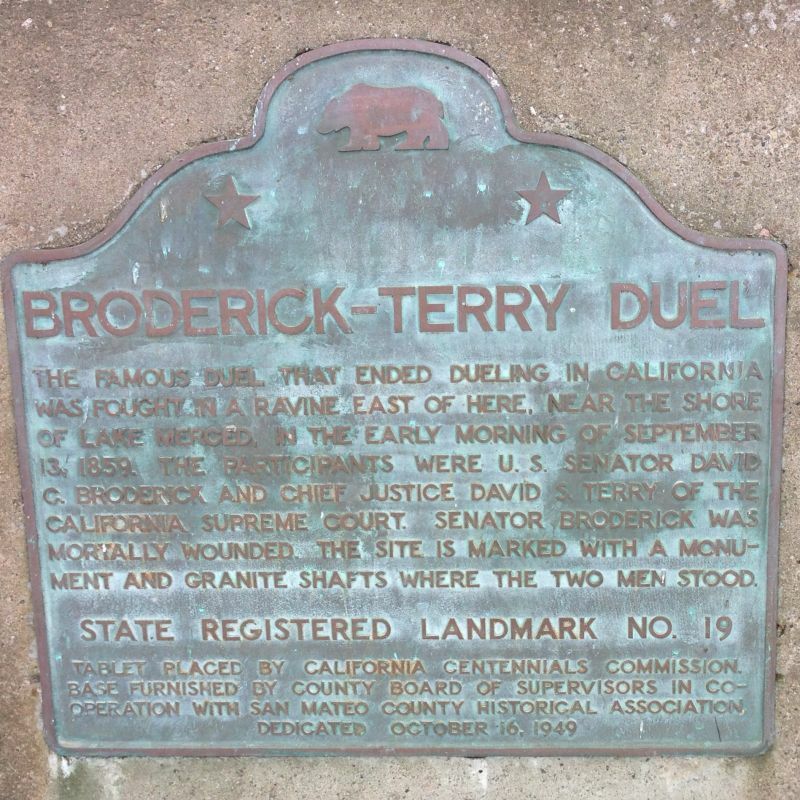 Senator David C. Broderick and Chief Justice David S. Terry of the California Supreme Court fought the famous duel that ended dueling in California in a ravine east of here, near the shore of Lake Merced. 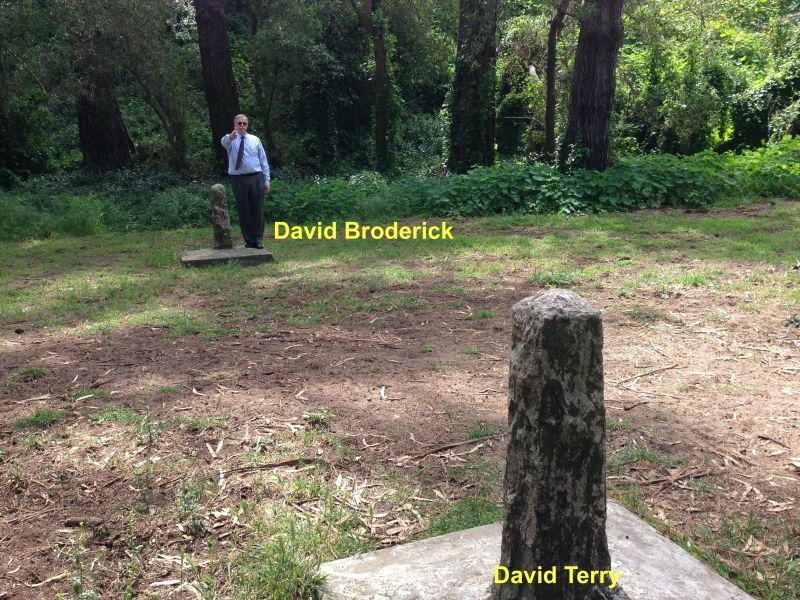 Senator Broderick was mortally wounded. 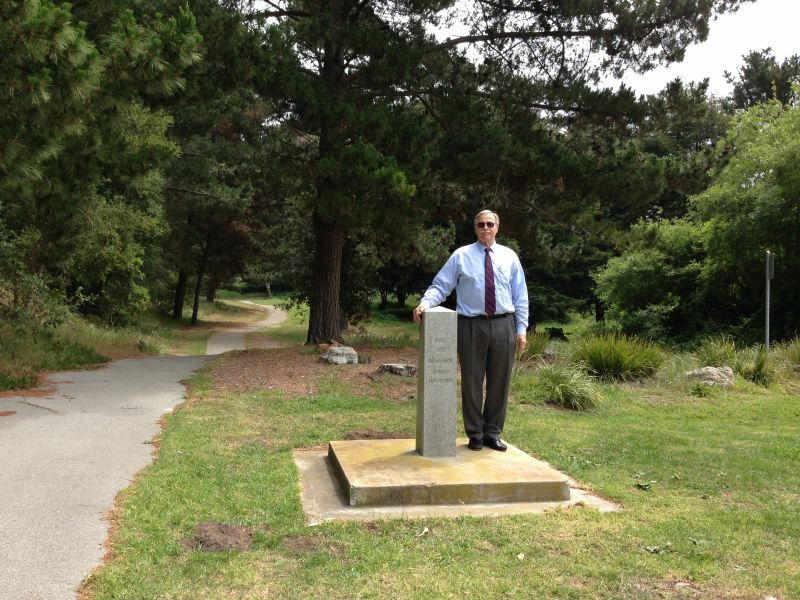 The site is marked with a monument and granite shafts where the two men stood. 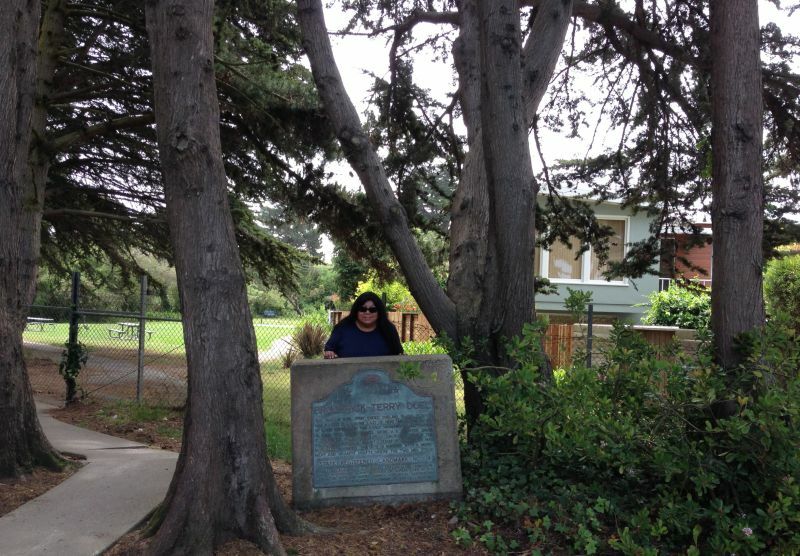 The monument is southeast of the state plaque. The dueling location is east of the monument.